Much of what we know about Celeste Farotti’s life and work stems from a manuscript written by Giovanni Iviglia in 1953, which contains passages apparently taken from the maker’s own ‘memoires’. It also features black and white photos of some interesting examples of Farotti’s work – mostly his antiqued copies. Iviglia likely knew the Farotto makers personally and much of his monograph is probably accurate. However, those interested in studying Farotti’s fine output in the context of his milieu may find some sections of Iviglia’s text subject to interpretation; written some 24 years after the maker’s death, it may have been influenced by Farotti’s nephew, Celestino. Farotti (originally Farotto; his name changed to Farotti thanks to a clerical error) was born in 1864 in the small farming community of Olivola Monferrato, less than 30 km south of Casale Monferrato, a large town and once home to Count Cozio di Salabue. Coincidentally, Leandro Bisiach, whose father was a carpenter, was born in Casale just two months later. Celeste spent his youth moving around the region learning various odd trades, studying music and playing the accordion in his free time. By the age of 16 he settled on carpentry as his main occupation and from the early 1880s was employed as a carpenter in a suburb of Casale, San Giorgio. In 1888, having become highly sought-after in his trade, he moved to nearby San Germano to open his own premises. 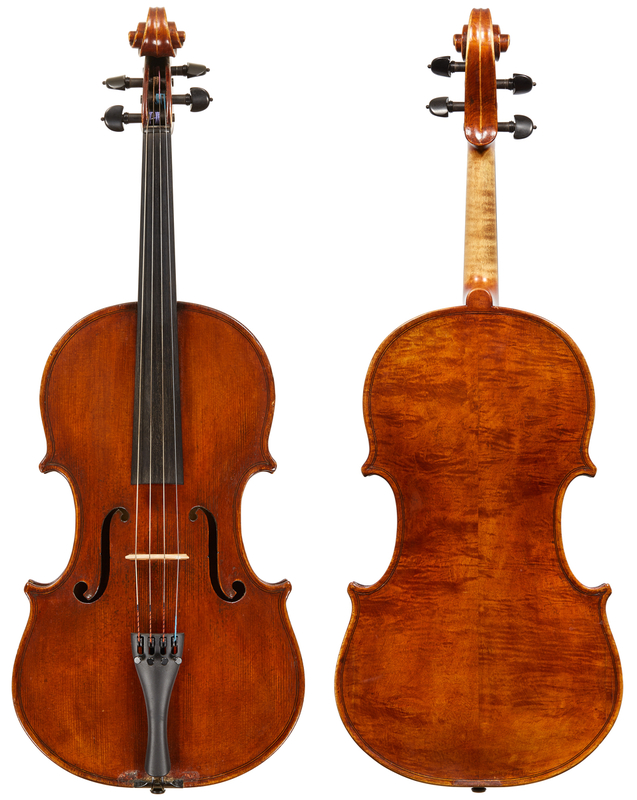 By 1886 Bisiach was beginning to focus on violin making and these two men, whose paths certainly crossed later in life, may well have been acquainted before Bisiach left his home town in around 1887 for Milan. Farotti, however, stayed in San Germano, apparently dabbling in violin repair, beginning to teach himself to play the violin and becoming acquainted with local musicians. From about 1895 he started making his first violins, guitars and mandolins as an amateur, dedicating himself fully to the craft after 1898. In fact his labels always state ‘da San Germano’ (from San Germano), which though not strictly accurate, served the purposes of suppressing his farming origins and birthplace. According to the maker himself, he produced about 30 violins and some cellos in San Germano. 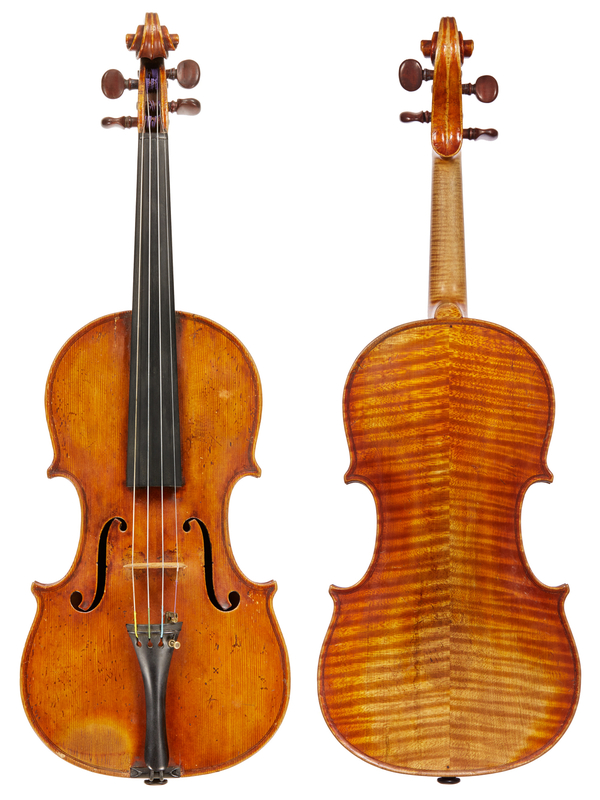 Such instruments, bearing a handwritten label, are virtually unknown today, though this early period must have been crucial in providing the necessary experience for the violin making career he was about to embark upon in Milan. With the encouragement of Giuseppe Negri, a cellist from the La Scala orchestra who had commissioned an instrument from him, Farotti moved to Milan at the start of 1900, leaving his younger brother, Salvatore, to take charge of the carpentry business he had left behind in San Germano. The great city already had considerable violin making activity, with the brothers Antoniazzi and Bisiach then entering an interesting and productive phase in their careers. Bisiach appears to have wanted to take Farotti under his wing, but although the offer must have been a tempting one, Farotti apparently ‘was not entirely satisfied with Bisiach’s instruments’ and so chose to remain independent. It was a difficult direction to take, given his meagre means, but one that proved to be the correct choice for a maker of talent and determination. Once in Milan, armed with a sharp eye and good business sense, Farotti began dealing in old instruments in parallel with Bisiach. Although Iviglia maintains that Celeste was entirely self-taught, and impervious to the influence of his violin making colleagues, it has been suggested that he did in fact work for Bisiach, possibly later in his career; as we shall see, this was perhaps not something Farotti would have wished to advertise. In any event, his policy of official independence from the Milanese workshops helped to further his individual reputation and increase the demand for his own instruments. By about 1910 Farotti had achieved a respected position for both his business and his instrument making. The latter won him several gold medals and medals of honor at national and international exhibitions and competitions in the years 1906–1917. The period before World War I was productive, allowing Farotti to employ his brother Salvatore, who in 1906 abandoned carpentry in favor of violin making and moved to Milan with his family to assist Celeste. During the war Salvatore was drafted into the army, but he returned to find his son, Celestino (born in 1905), being trained by Celeste, and so father and son continued assisting in the workshop. Farotti himself remained active after the war but with increasing health issues, including the onset of debilitating arthritis. After 1924 it seems that he more or less ceased working and moved to the Italian Riviera in hopes of curing his affliction. He returned to Milan shortly before his death in December 1928. Despite the surrounding Milanese influences, Farotti’s work remained true to his Piedmontese roots, which suggests that his violin making back in San Germano must have been influenced by the instruments he found in the hands of local musicians – the best of which were probably works by Giovanni Francesco Pressenda and Giuseppe Rocca. It is therefore not surprising that he soon emerged as one of the cleverest copyists of both 19th-century and classical instruments. While Bisiach loosely modeled most of his instruments on the great Cremonese makers, Farotti chose to make creative bench copies of particular instruments and avoided copying the classical Cremonese makers altogether, instead specializing in the models of Gagliano, Guadagnini, Grancino and Rivolta. Farotti told Iviglia that, apart from copying older instruments, he used three models – Rocca, Pressenda and a personal model, which he described as a cross between the two. It seems that the fine, antiqued copies were limited to violins and that his ‘straight’ instruments included the numerous and excellent Rocca-modeled cellos. The backs of these cellos are often made of poplar – a wood that Rocca himself seems never to have used. 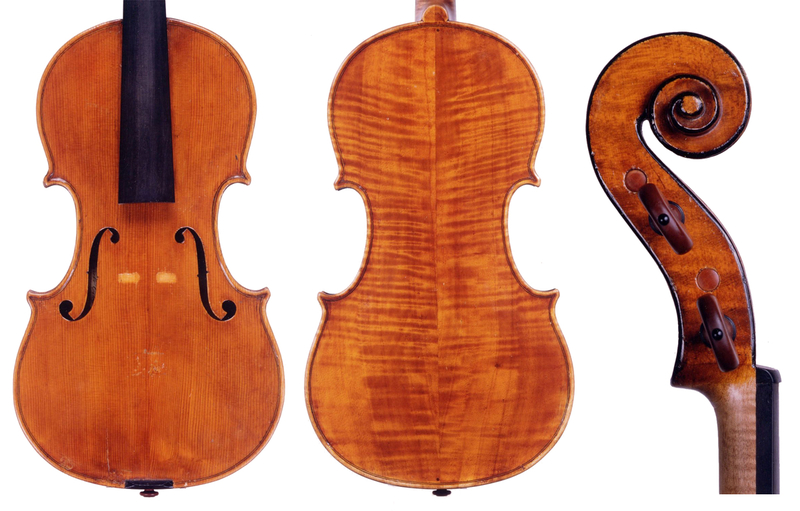 Farotti’s personal ‘straight’ instruments, based on a Strad–Rocca pattern, are distinctive and vary in quality. The woodworking, while appearing to be technically somewhat inferior to the greatest Piedmontese makers, conveys much determination, charm and character. 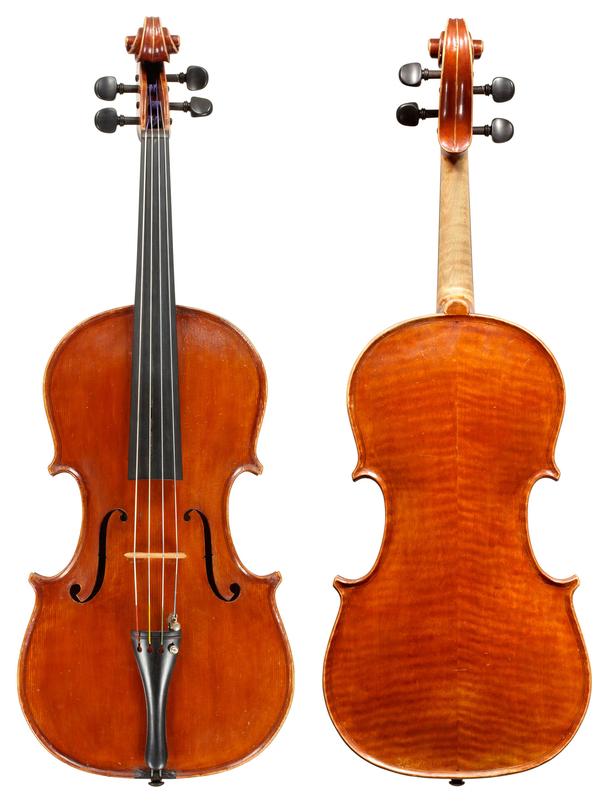 These ‘straight’ instruments have Stradivarian soundholes, normally a little too wide and close to the edge, slightly cumbersome corners and a flat arching that is at times less than confident – but these shortcomings probably arose from his desire to differentiate himself from the violin making activity surrounding him in Milan rather than from any lack of training or talent. The rather deeply cut scrolls and peg-boxes, encircled by a black chamfer, are reminiscent of those by Rocca and, though somewhat stiff, are nearly always strong points of his instruments. Farotti varnish is typically Piedmontese, not much different in texture from the somewhat hard varnishes favored by Annibale Fagnola and Evasio Emilio Guerra, but often darker, tending towards burgundy or reddish-brown hues. Some fabulous ‘glowing’, brighter orange instruments also exist. 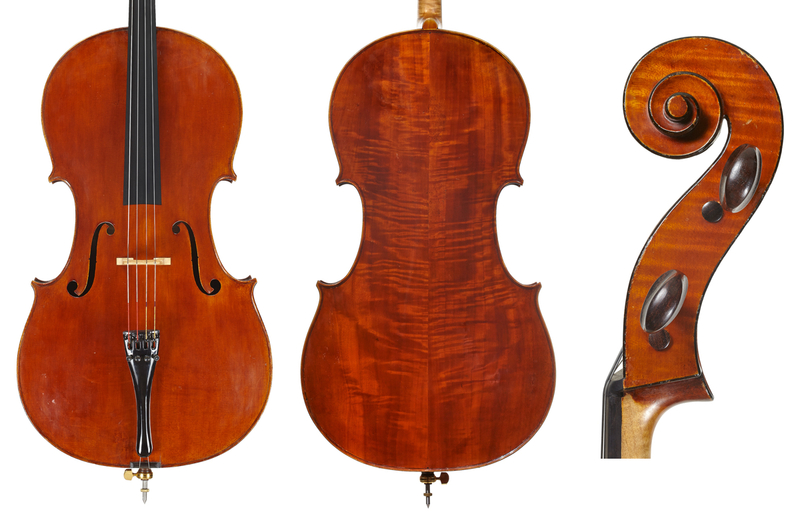 Farotti generally used excellent materials, showing a preference for highly flamed two-piece backs of either maple or the native oppio. He nearly always pinned the backs in the modern Turin tradition, with well-defined dark pins that normally touch the inside purfling. Farotti used three types of labels, with one reserved for cellos and violas, though Farotti violas now appear, sadly, to be non-existent. According to Iviglia, Celeste himself asserted that only about one third of the instruments he had made still bore his original labels, adding that the upgrading of his work – in particular the substitution of his own labels with those of Rocca or Pressenda – took place outside of his workshop. However, some of these copies bear striking resemblances to the originals in quality, spirit, wood selection and their perfectly copied labels – including accurately observed handwriting of numbers, dates and other elements. Questions arise as to whether the maker really sold them with his own labels, or without a label, or even whether they originally left his workshop with substitute labels to be passed off as originals by someone else. His most convincing Rocca copies may well have been produced after the death of Enrico Rocca in 1915, perhaps in order to avoid possible detection by Rocca himself – something which clearly could have negatively affected Farotti’s reputation. 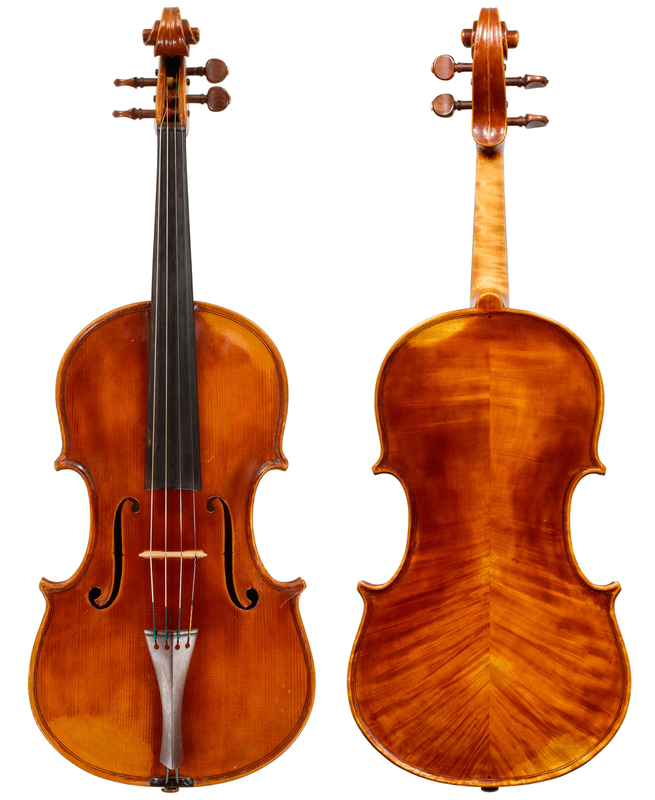 Again quoting Iviglia, Farotti later admitted that the copies ‘were much easier to sell than the instruments that were not antiqued’ and boasted that many of his copies were so good that, ‘if I had not made these violins myself, I would have said that they were original… and buyers of these violins had every intention to sell them as originals!’ We will never know for sure, but Farotti’s clients for such instruments appear to have been dealers who almost certainly would have possessed the capacity to reproduce and insert the appropriate labels before selling the actual violins. The ‘buyers’ that Farotti spoke of may thus have included none other than Leandro Bisiach himself, who after the First World War had turned into the wealthiest dealer of fine instruments in Italy, but whose integrity has often appeared to be suspect. Farroti’s passion for old instruments was not limited to copying them. In addition to undertaking normal repairs he made many modifications for modern use, such as expanding the size of small violins, altering archings and substituting or adding parts – some of these projects may well have been done for Bisiach. His skills were so advanced that identifying his repairs and adjustments, in his own words, ‘is nearly impossible’. One may speculate that if a part of Farotti’s violin making activities needed to be concealed, so too would any close association with someone like Bisiach. Clearly the family connection between the Farotto makers was very strong, with Celestino destined to become his uncle’s successor. From about 1920 onwards Celestino completed a substantial number of instruments for him that are virtually indistinguishable from the work of his mentor and often bear Celeste’s original labels. After Celeste’s retirement around 1924 it was Celestino, not Salvatore, who took over the workshop, although he perhaps continued to collaborate with his father, who lived until 1942. Celestino’s first known label dates from 1921, when he was 15, and by 1927 his work becomes more distinguishable from that of his uncle, and his own label and brand ‘C. FAROTTO-MILANO’ become commonplace. It is indeed tempting to speculate that the bulk of Farotti’s ‘straight’ instruments were made under his direction, first by Salvatore and after around 1920 by Celestino, while the ‘antiqued’ copies were entirely Celeste’s work. Celestino Farotto was a precocious maker whose best instruments date from the 1920s and the 30s, when he followed his uncle’s style. Thereafter the instruments gradually lose some of their sparkle in the beauty of the varnish, and also become heavier and less fluid in the corner and edge work. Remarkably, the elaborate motif of Celestino’s first labels is borrowed directly from those of Cesare Candi rather than deferring to the style of any of those used by Celeste. His violin making style, too, soon diverges from that of Celeste and conforms to the contemporary Milanese aesthetic of the Antoniazzi–Bisiach school. Was Celestino consciously drawing a line between instruments he had made for his uncle and those he was now making for himself? He then seems to have come under the stylistic influence of the finer, older Milan makers such as Pedrazzini, Ornati, Garimberti and Parravicini, whom he no doubt looked up to. At this point his Stradivarian or Amatese models begin to show elongated soundholes, the purfling generally widens inside a progressively deepening channeling, the varnish and edges soften, and the scrolls begin losing the blackened chamfers. The later instruments further sink at the edges, which almost become exaggeratedly ‘triangular’, and the purfling can either be too thin or too thick; the soundholes acquire a deepened fluting as well. Farotto won various prizes for his instruments starting from 1927, including a silver medal for a cello in the 1949 Cremona exhibition. The strong work ethic perhaps inherited from Celeste allowed him to be productive until a rather advanced age. 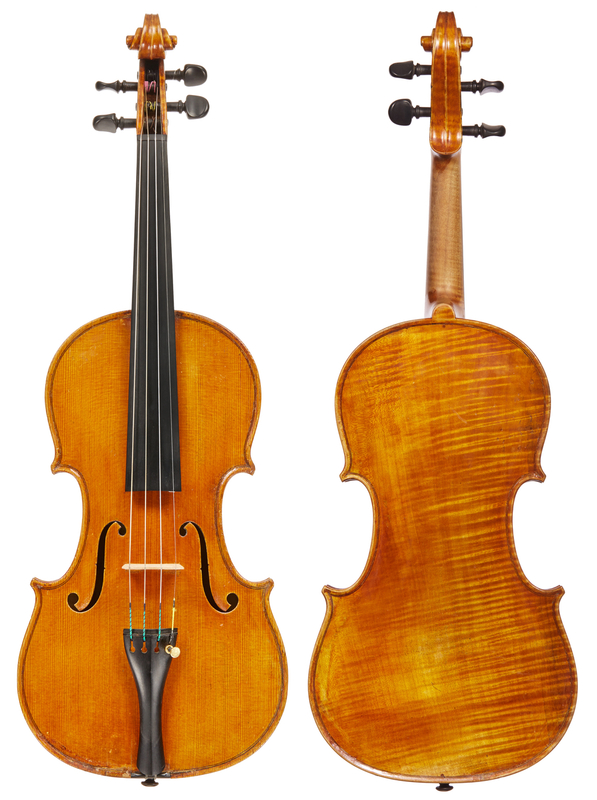 He also more than made up for his uncle’s lack of violas – it seems he specialised in making violas of robust proportions into the mid 1970s, many of which found their way to the USA through dealers such as Marlin Brinser. Previously, through the 1950s and the 60s, Farotto appears to have collaborated with Bisiach’s sons, Giacomo and Leandro Jr, in the construction in the white of very well-conceived violas, marketed under the name of Feruccio Varagnolo – a fine maker who had worked for Bisiach Sr but had died prematurely in 1916. Most of these violas, dated between 1909–1916, were also intended for export to America, where a good number still seem to be in the hands of excellent professional players. In the roughly 45 years up to 1970 Farotto completed 200 violins, over 70 violas and some cellos for his own account, making his total output over 300 instruments, not counting those made in collaboration with his uncle. Celestino lived out his maturity during a general post-World War II decline in modern Italian violin making, with the final quarter of the 20th century seeing a decreasing number of Italian ‘stars’ in the profession. One of the very the last surviving mainstream Italian makers of his generation, he died in Milan in 1988, a century after his uncle’s move to San Germano. Giovanni Iviglia, Celeste Farotti, Portrait of a Violin Maker, reprinted by Eric Blot Edizioni, Cremona. Born around 1900, Iviglia was an avid Italian violin collector, enthusiast and writer, who in 1952 was serving as general secretary of the Italian Chamber of Commerce in Zurich. All quotations are sourced from this monograph.